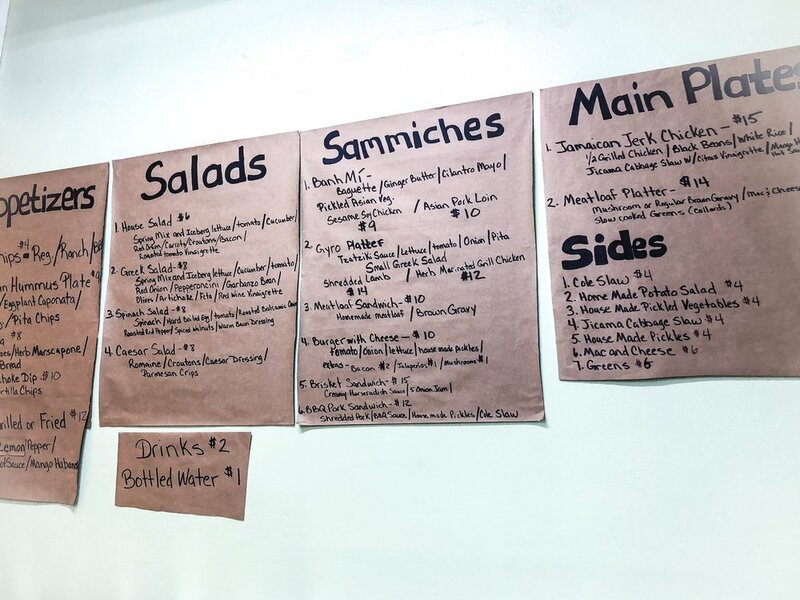 After what seemed like an eternity of setbacks and other complications, Adam Loew and his wife Thania have soft opened their Grassroots Kitchen at 2109 S. Edgefield. Elmwood neighbors should know it as the storefront next to Thrifty Washer & Dryer, but some long-time residents will recognize it as the ice cream shop from the movie Born on the Fourth of July. Adam was known around Oak Cliff for his pop-up dinners serving entrées like delicious Bánh mì and jerk chicken. Both of those have made it onto the menu along with salads and sandwiches in a lunch-heavy list, assumed to change often as customers are directed to a hand-written board. On a recent visit, the main plates section included the generously portioned and wonderfully seasoned Jamaican jerk chicken ($15) and a meatloaf platter ($14). Fish & chips were seen on the menu on Saturday. Opening a restaurant has been Adam's life-long dream. He believes in making everything from scratch and in using only fresh ingredients (the restaurant is not equipped with a freezer). Grassroots Kitchen may be adjusting its hours periodically, but as of now it is open Mon-Sat 11am-9pm (closed Sundays). Wi-Fi is available for guests and credit cards are accepted. A grand opening is planned for the coming weeks. Hours: Mon-Sat, 11am-9pm. Closed Sundays.